They operate in a range of sectors – from finance to social services – but they all have something in common: a devotion to collaboration and forward-thinking, empowering others, and acting with authenticity, integrity and inclusivity. They’re leaders, and their insight makes them winning mentors and ongoing examples of excellence. For some, that level of excellence is celebrated with accolades and announcements. While applause is energizing, sustainable leaders seem to say the real work happens daily, in boots-on-the-ground engagement with others. Take Abide, an inner-city revitalization nonprofit, for example. Founders Ron and Twany Dotzler believe everything rises and falls on leadership, that a healthy community is built on healthy leaders and that leaders are learners. “Connect with your neighbors because relationships are critical to revitalization. Care for your neighbors if there is a need. Call your neighbors to fulfill their God-given potential. Abide believes that these three strategies of neighborhood leadership will help bring hope to those in hopeless situations,” says Abide’s Rosie Schuman. 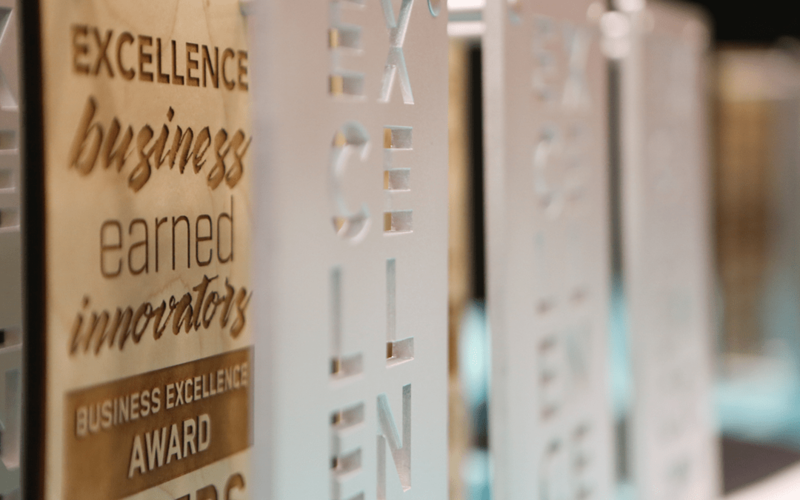 A 2019 recipient of a Greater Omaha Business Excellence Award in Leadership, Abide’s attitude of engagement is reflected by another Business Excellence Award Winner, The Harry A. Koch Co.
“Our leadership team continues to focus on goal-setting, communication of expectations and employee engagement. We also invest in education and development in the areas of leadership and management,” says Chris Evans of The Harry A. Koch Co.
Like Evans, Ashira Prossack, a multigenerational workforce consultant and Forbes contributor, counts communication as a leadership essential. The bottom line is, leaders work hard to come out on top, bringing others along with them, inspiring hope and encouraging innovation, finding a formula for success as much in each other as in altruism.